And Forth. Do You See parts Of The Image Spinning? It Is Your Brain Playing Tricks On You. Above : Move your head close to the screen. Do the perfect blue squares appear to be distorted? Absolutely... 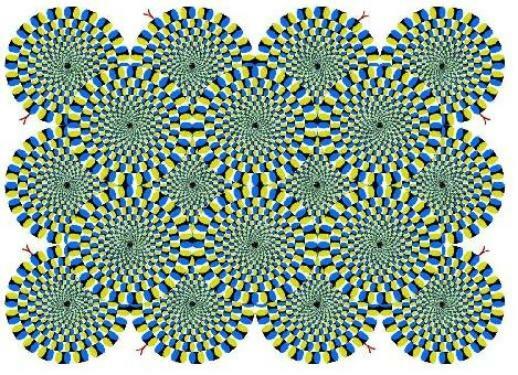 This is due to the black lines in the back moving and twisting it in your mind. It's two illusions in one! on which one you look at.